Katy B has always out of sync with the climate around her. When she was sixteen and singing on underground house tracks the charts were still plagued by risible EDM-pop from David Guetta, Calvin Harris and their imitators, and while her excellent debut On A Mission spawned a few hit singles, her distinctly-UK approach to dance music didn’t quite fit in. By the time stylistic peers like Duke Dumont and Disclosure were racking up hits, Katy B was on to second album Little Red, a solid if slightly bland step away from club culture that let the momentum slip. But Katy B has always been a trendsetter, and Honey sees her look to the frontline of dance music, each track showcasing a different producer, exploring different styles. It’s not so much an attempt at credibility as a return to form, relying as much on pop instinct as it celebrates the sound of contemporary underground nightlife. 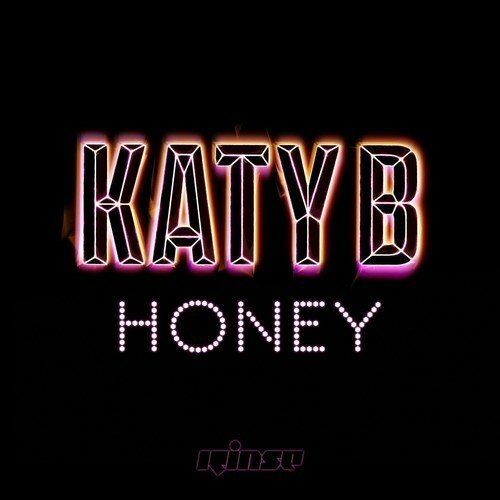 As a vocalist, Katy B’s versatility has never been in doubt, so Honey doesn’t struggle with its stylistic shifts and genre experiments. Katy B helms the album with a strength of personality, a sense of authenticity imbuing her vocals – the raver-next-door, equal parts All Saints, Neneh Cherry and anonymous club diva. The lyrics are the usual snapshots of drama that make up pop – hedonism and heartbreak – but Katy B has always swapped clichés for specific realism, giving a sense of lived-in relatability. She’s equally adept as a performer and songwriter, and so Honey always feels foregrounded in the image of her, regardless of featured producer. The Major Lazer production ‘Who Am I’ features Craig David, whose career renaissance feels deserved in the pop climate of deep basslines and house tempos. Katy B would do well to treat the career of David as a parable: a homegrown success whose defining moments were borne of urban nightlife, with a career that eroded the further he travelled from his roots (race and class bullying via national television notwithstanding). Honey flirts with the same danger, but doesn’t quite fall into the traps – yet. On grime-and-guitars sunset reflection ‘Honey (Outro)’, Katy B sings ‘I have these songs to sing/They might not seem like anything/But to me they are my truth.’ That’s all she needs to offer, and all we could ever want.